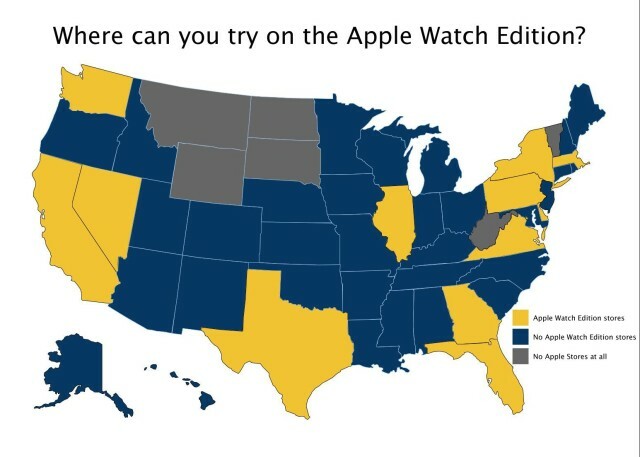 Apple Watch Edition is totally untouchable in 38 states. Assuming you’re in one of the lucky golden spots, you can try to nab an appointment on Apple’s Concierge site. Even the stores that are selling Apple Watch Editions have been filling up all available demo times, but hey. Maybe you’ll luck out and stumble onto a cancelation. If not, all is not lost. If you live in one of those blue states, you can still schedule an appointment to check out the Apple Watch and Apple Watch Sport at the nearest Apple Store in an attempt to figure out which wrist gizmo is right for you. You can try them on and get your sizing figured out — and even if you’re a skeptic, you’ll likely walk out an Apple Watch believer. But what if you live in one of those gray states in the map of shame above? 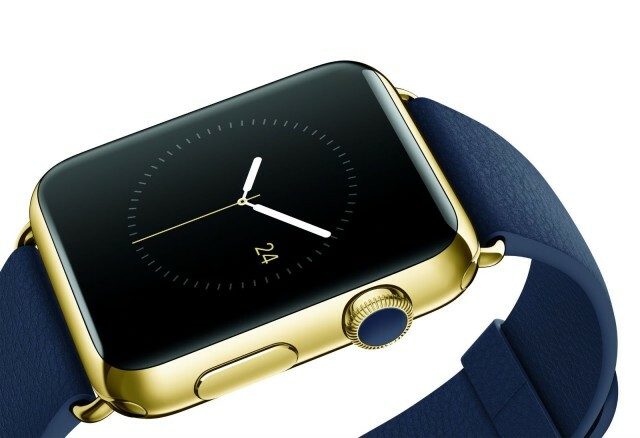 In that case, you’re screwed if you want to try on an Apple Watch at all, gold or otherwise. But at least you still have that augmented-reality version. And your dreams. This entry was posted in Apple news and tagged apple store, Apple Watch, Apple Watch Edition. Bookmark the permalink. How to watch Coachella Live on your Apple TV. LaCie’s 4TB Rugged Thunderbolt/USB 3 portable hard drive delivers SSD-like speed at HDD cost.